Obituary for Brandy A LaJoie | Boucher Funeral Home, Inc. Brandy A. LaJoie, 44, of Royalston, died peacefully Sunday, June 17, 2018 in Heywood Hospital of Gardner, following a long illness. Brandy was born in Gardner on November 24, 1973, the daughter of Ronald E. LaJoie and Pamela (Murray) (LaJoie) Barden. She had a beautiful, kind heart and loved making people happy. She loved taking care of her children, grandchildren and family. Brandy was the glue that held her family together. She will be greatly missed by all who knew and loved her. Besides her father, Ronald E. LaJoie and his wife Judy of Worcester; and her mother, Pamela (Murray) (LaJoie) Barden and her husband Scott of Athol; Brandy leaves four sons, Zachery LaJoie, James Racine, Justus Cowen and Dylan Cowen; four brothers, Wally Gibson of Athol, Scotty Gibson of Winchendon, Jamie LaJoie of Athol and Ron LaJoie, Jr. of North Carolina; two sisters, Amanda Garcia of Gardner and Cristie LaJoie of Athol; two grandchildren, Kayden and Madison LaJoie; one step-grandson, Bradley Matyuf; paternal grandfather, Donald T. LaJoie; several aunts, uncles, nieces, nephews and cousins. She also leaves her fiancé, David Sweeney of Royalston. 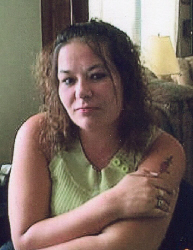 Brandy was predeceased by her son, Mickey Racine, Jr.; and brother, Shawn LaJoie. Funeral Services will be held Monday, July 2nd at 5:00 p.m. in the Boucher Funeral Home, Inc., 110 Nichols Street, Gardner. A calling hour will be held Monday, July 2nd from 4:00 p.m. to 5:00 p.m. in the funeral home. Memorial contributions may be made to the American Cancer Society, New England Division, 30 Speen Street, Framingham, MA 01701. Please reference in memory of Brandy A. LaJoie.